Bigger rides. Funner games. Newer attractions! This December will see the return to Hong Kong of the award-winning AIA Great European Carnival. Set for an encore run of fun, games and thrills, the event will once again bring with it all the best experiences, atmosphere and entertainment associated with the finest European carnival traditions. 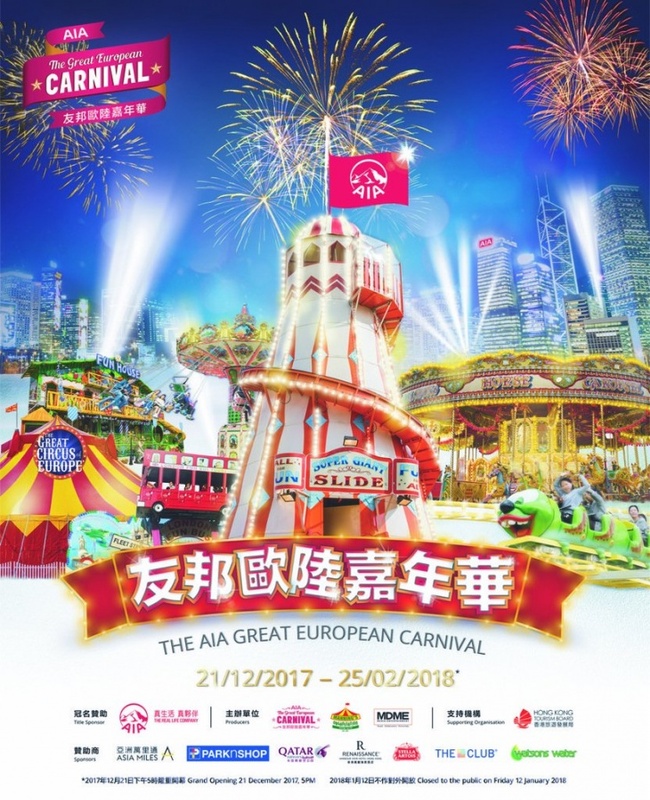 Add to that a great range of food and beverage, the most thrilling rides, challenging skill games, and other unique attractions that truly make The AIA Great European Carnival the greatest live entertainment platform of its kind ever held in Asia. Food that just keeps tasting better and better!